Denise Anderson made the difficult decision to sell her ring a few weeks ago. This came right after she led an information session on empowerment through finance for the Worthy team. 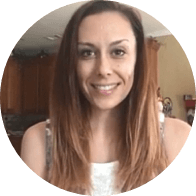 Not only is she a divorcee but Denise is also a financial advisor and gemologist, giving her an especially valuable perspective on the process and benefits of selling a ring after divorce. We were thrilled to have her in our offices and hear the advice she had to offer. She connected with us so much that, after meeting with our chief gemologist Roy Albers, Denise decided to sell. And what a sale it was–her three stone ring sold for $45,787. We sat down with Denise after the sale was complete to find out how she came to the decision to sell her ring, why she chose Worthy and what advice she would give to other women thinking about selling their rings. Read the full interview below! A: It was a difficult decision because I am a gemologist and love stones. I know the diamond was beautiful, but I couldn’t stomach getting the wholesale value. Once I met Roy, I felt at ease and the value he anticipated was more than I hoped for. Q: You held on to your ring for a while. What emotional state were you in prior to selling? How would you describe your emotions now and going through the auction process? Q: As a financial advisor, what do you advise your clients to do with valuables they no longer use? A: Sell them. I had already sold a bunch of gold charm bracelets and other jewelry, which I did not like, and inherited from my ex mother-in-law (she passed many years ago). I still have more but it’s not great quality and probably not worth the trouble. Q: What do you suggest women do with the money they earn from selling those valuables? Is investing top of mind? A: Absolutely. My advice is to take one third and have fun. Take another third and pay down debt or manage living expenses and finally, invest the other third in 529s, IRA, whatever you choose. Q: What lessons can you share about building a financial nest egg with selling valuables like a ring? A: Worthy is a fantastic way for people to monetize hard assets that they no longer need or enjoy. 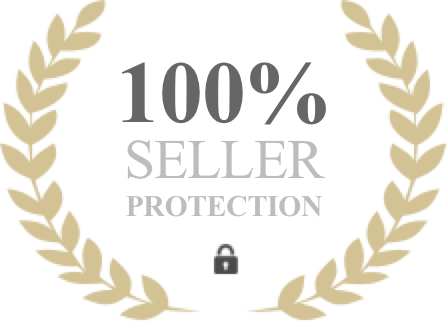 Because the process is so fair and open to a broad community of professional buyers, it is transparent and trustworthy. Meeting Roy gave me great confidence. I just knew the moment that I met him, that he was a fine person. I think using the money in the ways that I plan to is good. Take a little and treat yourself or those you care about, use some to live/reduce financial stress and put no less than a third into savings. Q: What at Worthy was a game changer for you? A: The personal service, the website and Roy. Q: You are a gemologist yourself. Did Worthy provide you with information you needed to make the right decisions? A: Yes. Having a financial background, I operate in terms of relative value. When Roy told me he had a similar stone being auctioned that day, I knew I had a good benchmark to set my price expectations. Q: How did you set the minimum price for your item? A: I trusted Roy. He is in the market all the time. Once I met him, instant credibility. Q: How would you describe the process to other women looking to use Worthy? A: I just had this conversation with someone. Their first reaction was a heavy sigh. Then when I explained the benefits both financially and emotionally, they changed their tune. Everyone in my office was involved watching the auction, and they are all now combing their jewelry boxes for old diamonds – LOL. I think as women, it’s very important to support each other in these decisions. I felt supported in mine by my colleagues and the women at Worthy. It’s great to visit too. Are you thinking about selling your ring? Have questions about our process? Feel free to get in touch with us by phone at 1 (888) 222-0208 or email at getstarted@worthy.com or, if you are in the New York area, you are welcome to come into our office for a complimentary consultation with one of our gemologists to get their expert opinion. We’re ready when you are!